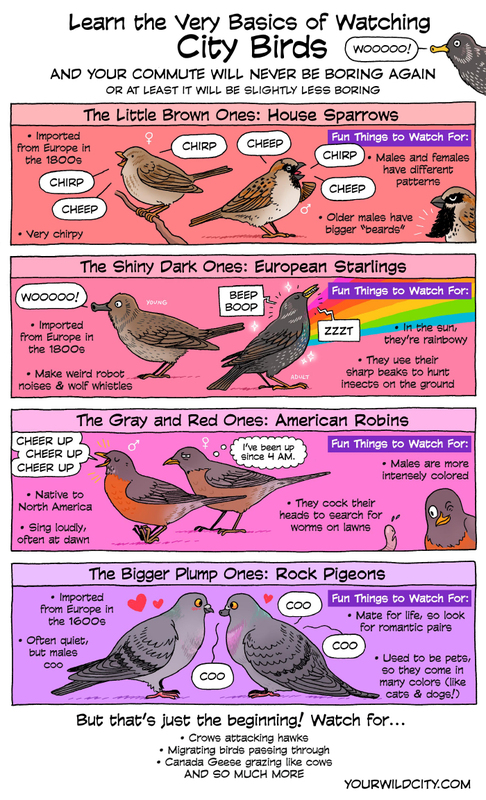 This month, we thought we’d make a comic for people who are just a little bit curious about birds. My dad grew up in a big city and he only knew these species as “the little brown ones” or “the big grey ones”. Here’s an intro to some of those birds.